One year from this weekend, the Modern Quilt Guild will descend upon Austin Texas for QUILTCON, a celebration of modern quilting. There will be a show, classes, demos and lectures including the quilters of Gee’s Bend. 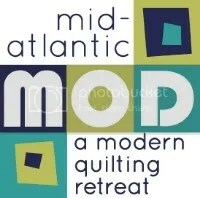 Check out quiltcon.com for details about the event, held February 19-22 2015. Here’s the crazy part… hotels for Quiltcon 2013 sold out, and blocks are already sold out at the Radisson and Hilton. There are rooms at the Hampton Inn and the Marriott as of this posting. But if you’re even thinking of going, reserve a room so that you don’t miss out! Many hotels will allow for cancellations up to 24 hours in advance. But check with the individual hotel. Here is the lodging link for QUILTCON 2015. We’ll keep posting updates as more events are revealed. As MQG members we are entitled to advance registration and discounts on certain offers.